Six days ago, the United States national team fell 2-1 to Belgium in the Round of 16, bouncing out of the 2014 FIFA World Cup. The Americans managed a single victory across four games, a 2-1 win over Ghana in their opening match, but the squad made it further than Cristiano Ronaldo. So that’s something. 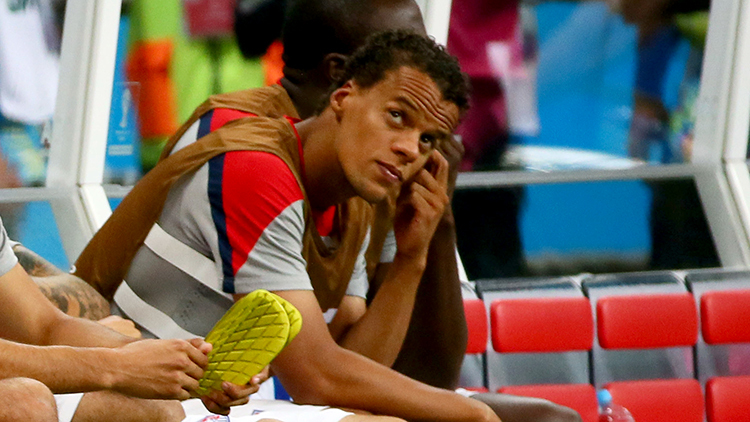 Now that we have the benefit of a little perspective, let’s take a look at the USMNT’s 2014 World Cup winners and losers. If you asked before the tournament, “Who is the player that needs to be at the top of his game for the U.S. to advance?” the answer would have been Michael Bradley. But the midfielder was uncharacteristically off with his first touch and his usual pinpoint passing. 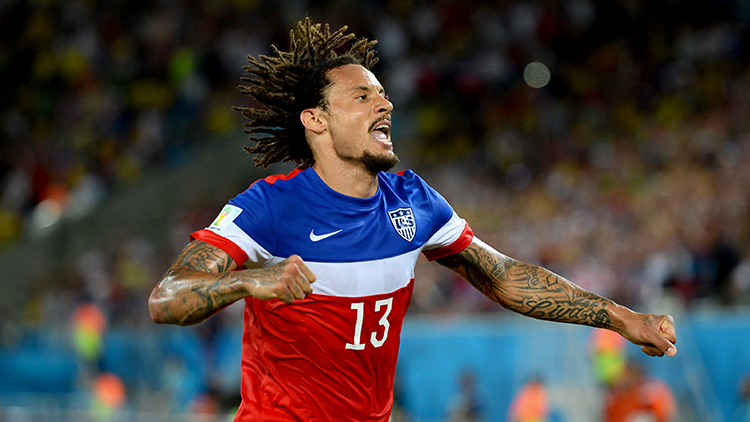 Jermaine Jones, Bradley’s maligned central midfield partner, who spent some of the time on the left side of the field in Brazil, rewarded coach Jurgen Klinsmann’s unending faith, scoring a beautiful goal, avoiding yellow cards, leading through effort and tenacity, and playing like the bulldog the U.S. had to have. Jones could be headed to MLS, where his skill and physical style would thrive. Toronto FC currently owns the top allocation spot for returning U.S. national team players, meaning there’s a decent chance he will pair with Bradley for his new club team. That would be fun and a win for all of us. They were the only two field players not to appear at any point during the four matches. Chandler looked awful against Turkey during the Send-Off Series, likely playing himself out of any World Cup minutes. 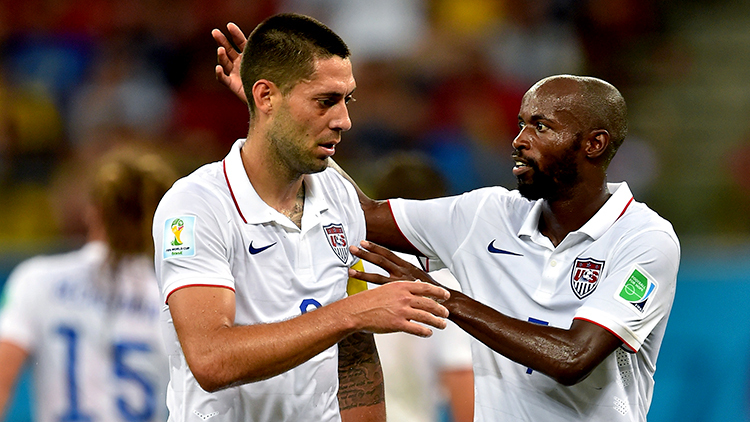 (DaMarcus Beasley’s star turn didn’t help, either.) Diskerud was the offensive spark plug for a team that spent too much time on its heels to need one. Both will be back, as Beasley is set to retire from international soccer soon, and 23-year-old social-media star Diskerud possesses too much attacking talent to ignore if he can become more consistent with his defensive effort. This World Cup, however, wasn’t the time for either of them. First it was John Brooks, who came on for Matt Besler to start the second half of the opening match, put together a solid defensive effort, then scored off a Graham Zusi corner kick in the 86th minute to beat Ghana. Then there was DeAndre Yedlin, the confident, irrepressible ball of speed tearing up and down the right flank who joined the proceedings against Portugal. 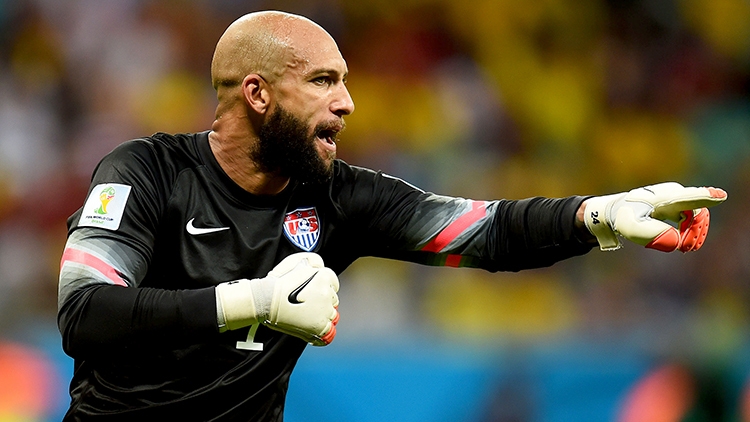 He only played 18 minutes in that match, but he made them count. He showed a pace that matched his rise from a Major League Soccer nobody to a player with three World Cup caps on his résumé and a transfer to A.S. Roma in the works. In the knockout round, Yedlin replaced Fabian Johnson just after the half-hour mark, more than holding his own in America’s biggest match since 2002. 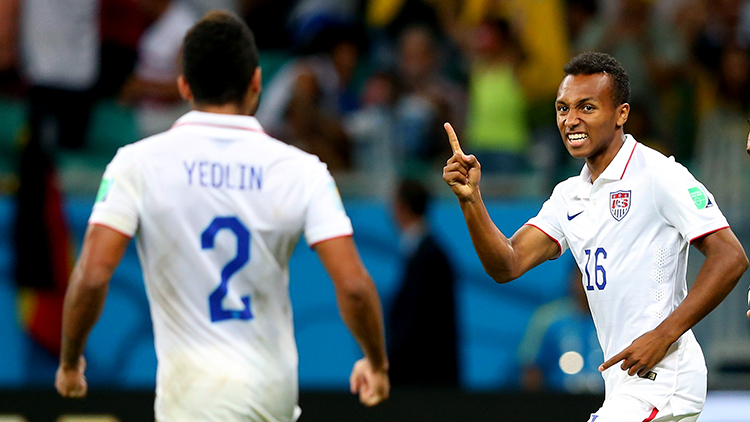 And, of course, there’s the controversial Julian Green, who gave the red, white, and blue some semblance of life in that match with his sublime, and we’re gonna go with totally intentional, flick-on goal in the 107th minute. Those moments might be the best these three ever have in a U.S. uniform, and we should all remember that instead of fast-forwarding them into the 2018 Starting XI. That said, there might be many more moments to come. That miss. That !#%$ing miss. All the San Jose Earthquakes forward had to do was tap the ball past Thibaut Courtois, which admittedly is more difficult than it appears because the only thing longer than the goalkeeper’s name (Thibaut Nicolas Marc Courtois) is his albatross wingspan. Wondo has a résumé that reads like some sort of postmodern fairy tale, stretching from the Chico Rooks of the National Premier Soccer League to MLS’s Golden Boot winner, and he was just inches from glory until the ball flew over Courtois’s hands, over the net, and into the first few rows of fans. These things happen. Of course they do. In addition to Beasley, Howard, and Jones, you had Brad Davis, Clint Dempsey, and Kyle Beckerman. 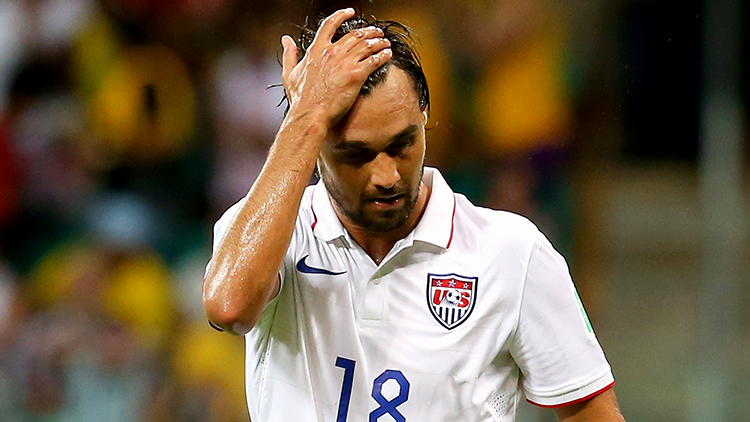 (And, yes, Wondolowski, a winner for making it onto the roster in the first place.) Of that trio, Davis made the least impact, starting against Germany and appearing a bit overwhelmed along with pretty much everyone else on the field. But even that has to be considered a victory when some people — pointing at myself — couldn’t see him doing anything at all positive in Brazil. After Jozy Altidore went down in the opening minutes of the first match, Dempsey was forced into the lone striker role, which suited neither his give-me-the-ball-going-at-goal game nor his broken nose. And yet he scored twice, and very nearly tied it up against Belgium. Beckerman led with his fearless tackles, his energy, and his dreads. He was better than anyone could have imagined, Exhibit A that a player spending his entire career in MLS can be just fine on the world’s biggest stage. Yet. The World Cup comes every four years. The majority of teams play no more than four games, making the tournament at once a really poor prism through which to view the progress of a given squad, as well as the inevitable barometer on said progress or lack thereof. 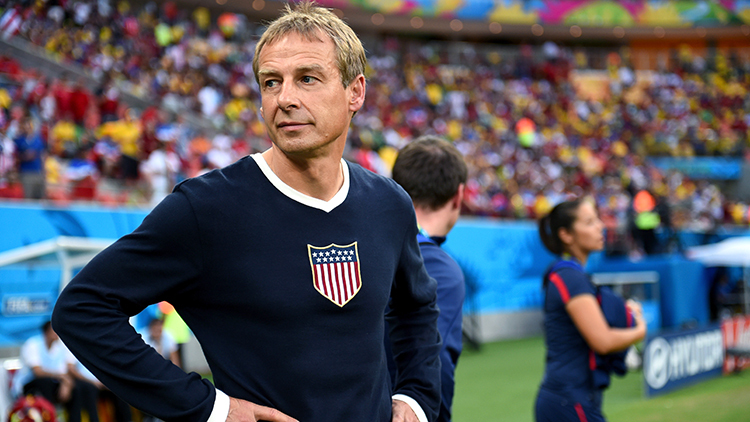 The American team didn’t play much differently than it did four years ago, or even when Klinsmann first started, but his attitude and confidence is infiltrating the side. He was right about Jones, right about Yedlin, right about a lot of things. He’s far from infallible, and his charisma and résumé mean he gets away with plenty that other coaches wouldn’t, but it really is a new era. 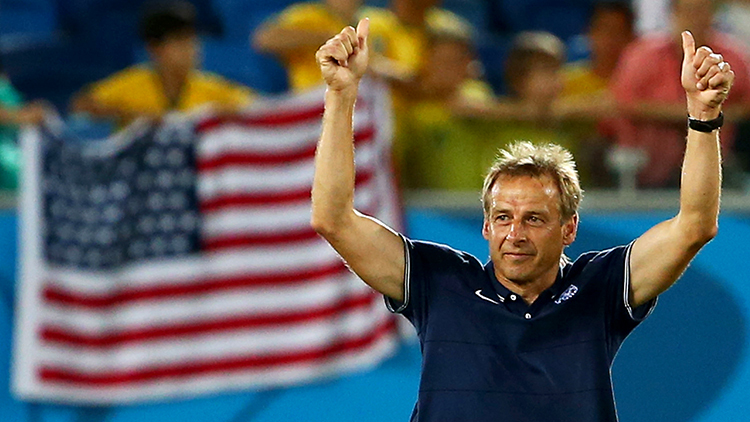 That, like the U.S.’s run at the World Cup, is mostly a good thing.